A couple of weeks ago I saw someone with “an interest in nutrition” (this according to their bio) attempting to argue with a dietitian on twitter about nutrition. She had posted something about whole grains (I can’t remember exactly what) and he had asserted that vegetables are a better source of fibre than grains and are therefore nutritionally superior. I bit my tongue and restrained my texting fingers as I didn’t want to get into a circular 140 character argument on twitter when I should have been going to bed. Instead I saved my ranting for you. You’re welcome. I see the argument that vegetables are superior to grains as disingenuous. You remember the saying about comparing apples to oranges, right? Well, there’s a reason for that saying. It makes no sense to compare two things that are very different. Just like comparing apples to oranges is nonsensical, so is comparing vegetables to grains. Sure, some vegetables might have more fibre than some grains. But other vegetables have very little, and other grains have lots. We also don’t eat foods for single nutrients. There are different nutritional benefits to both grains and vegetables. People often ask me if X vegetable is better than Y. The answer is pretty much always that they’re both good for different reasons. It’s like asking a parent which child they love more. I love all vegetables equally, but differently. Just because one vegetable has more vitamin C in it doesn’t make it better than another vegetable that may have more potassium. We also don’t eat foods solely for their nutritional composition. Sometimes we actually eat them because they taste good! Eating doesn’t have to only be about what nutrients we can obtain from the food. Eating isn’t a competition (unless you’re in an eating competition). It’s not an either or proposition. Foods work together to provide us with all of the nutrients we need. That can include both grains and vegetables. Tags: fibre, food, grains, nutrition, vegetables | Permalink. Yes, I can get behind the statement that “we can all benefit from more veggies in our diet”. After that, I diverge from this weekly nutrition challenge. I don’t think that replacing grains with greens makes nutritional sense. Maybe if all of your grains are refined baked goods. Otherwise, there are nutrients in both grains and greens and replacing all of your grains with vegetables isn’t necessarily a nutritional win. 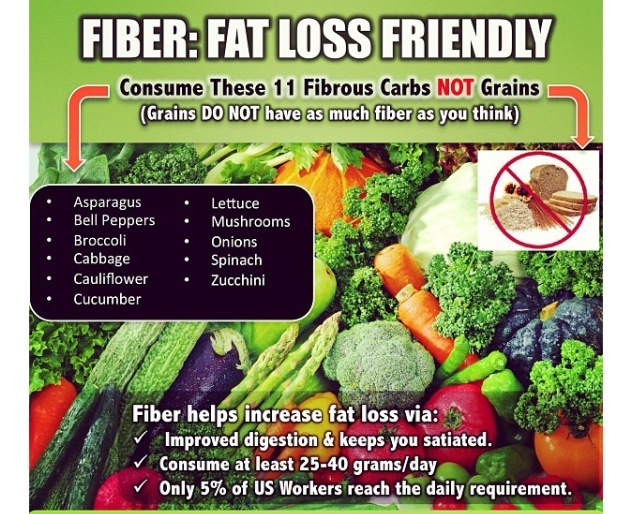 Grains tend to provide more fibre than vegetables. 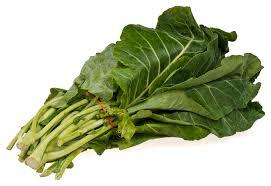 They’re also a good source of B vitamins and minerals such as iron and magnesium. The fibre in grains can help promote digestive health, lower LDL, and feeds the probiotics in our intestines. The gut microbiota is a fascinating emerging area of research. There seems to be many relationships between the bacteria living in our digestive tracts and other aspects of our health. Fibre also contributes to satiety. Sure, greens have lower caloric density than grains but they also don’t keep you feeling full. Greens provide you with plenty of other nutrients. It doesn’t have to be an either or situation. I don’t understand why so many people want to attach guilt to specific foods or food groups. Grains and greens can both co-exist in a healthy balanced diet. Yes, even some refined grains. In my mind, challenging people to eliminate food groups is not a sensible or sustainable challenge. But what do I know, I’m just a dietitian; not a “strength coach, nutritional expert and practitioner of Chinese medicine”. And greens for grains is pretty catchy. I guess catchy is more important than realistic, sound nutrition advice. Tags: diet, fads, fibre, food challenge, grains, greens, healthy eating, nutrition | Permalink. Someone on twitter recently shared a link to this naturopathic blog post advising against whole grains. This was the same person who shared a post by another naturopath that suggested using boric acid to treat persistent vaginal yeast infections… eep! I could probably devote my entire blog to responding to misinformation provided by naturopathic blogs and never run out of material. Not a single one of these is actual research. Nor will the links take you directly to articles about grains. Oh so helpful. I think that the point they are actually making (but apparently don’t realise is their point) is somewhat valid: “Stay away from the bread and processed foods and deny this lure into the whole grain hype.” Sure, I eat bread, and processing some foods is necessary to obtain nutrients from them. However, avoiding highly processed packaged foods is a great policy to improve your health. Notice though that their primary concern appears to be with refined grains and not those that are minimally processed. Foods such as steel-cut oats, corn, wheat berries, barley, buckwheat, triticale, brown rice, etc. are excellent sources of nutrition and can healthily be consumed as part of a balanced diet. While you can eliminate grains and still be healthy, cutting out an entire food group makes it much more difficult to do so. Unless you have an allergy or other condition which forces you to eliminate grains from your diet you’re going to be better off consuming a variety of grains than you will be by consuming none. Tags: grains, healthy eating, misinformation, Nova Health Naturopathic Centre, nutrition, research | Permalink. A friend, and fellow dietitian, sent me the above screenshots. They were posted by a personal trainer. Of course it’s great to get people eating more vegetables and by no means do I want to discourage that. However, this is yet another example of why nutrition advice is best left to nutrition professionals. Let’s start with the onions. High in fibre? It’s true, sort-of. Once cup of chopped onion contains a respectable 3 grams of fibre. Not exactly “high” but a “good source”. But… Who among us eats an entire cup of onion in a sitting? Certainly not I. At most, I would say I would have a couple of tablespoons. That brings the total fibre down to a whopping 0 grams. Oops. As for the other claims… Anyone telling you something is “great for fat loss” is probably full of it. No one food promotes fat loss. Following a healthy, adequate calorie diet, and healthy active lifestyle will promote fat loss (should you need to lose fat). Glutathione to reduce stress? Not according to WebMD. And just to be annoying, how on earth could eating onions reduce stress??? Will they ensure you don’t lose loved ones, keep your job, prevent moving? I think he must mean that they reduce the effect of stress on your body. Regardless, I’m pretty sure he’s mistaken. EWG did find pesticide residue on onions, however, they were ranked 50th (out of 51) so I’ll let him have that one; they are low in pesticides. 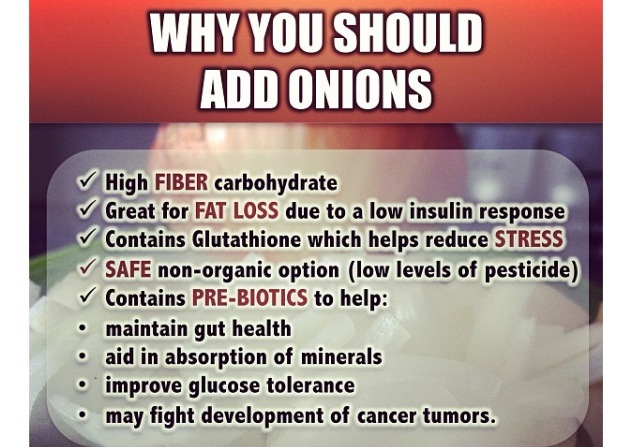 Finally, onions do contain the prebiotic inulin. But, the onions aren’t what provide the benefits listed, the probiotics that use the prebiotics to grow are what provide the benefits. Both pre- and pro-biotics are needed to maintain a healthy digestive system. As for the claim that grains don’t contain as much fibre as “you think” and therefore, you should consume the vegetables listed to obtain your fibre. Let’s compare: asparagus, cooked 1/2 cup = 2 grams of fibre, 1 cup of raw green pepper = 3 g fibre, 1 cup of raw broccoli = 2 g fibre, 1 cup of raw green cabbage = 2 g fibre, 1 cup of raw cauliflower = 3 g fibre, 1 cup of cucumber (with peel) raw = 0 grams of fibre, 1 cup of romaine lettuce = 0 g of fibre, 1 cup of raw mushrooms = 1 g fibre, 1 cup of raw spinach = 1 g fibre, 1 cup of raw zucchini = 0 grams of fibre. Now for the grains: 1 cup of steel-cut oats = 5 grams of fibre, one slice of multigrain bread = 2 g fibre, 1/2 cup of cooked quinoa = 2.5 g fibre, 1/2 cup of brown rice cooked = 2 g fibre, 3/4 cup of bran flakes = 5 g fibre…. I’d also like to mention that 1/2 cup of black beans contains 7.5 grams of fibre! As you can see, yes some of these vegetables contain fibre. However, grains also contain fibre, generally more than the vegetables. The moral here: include a variety of foods, including grains and vegetables, in your diet to meet all of your nutrient needs. Oh, and don’t take nutrition advice from those without a nutrition education. Tags: fat loss, fibre, grains, nutrients, nutrition, Onions, personal trainers, vegetables | Permalink.